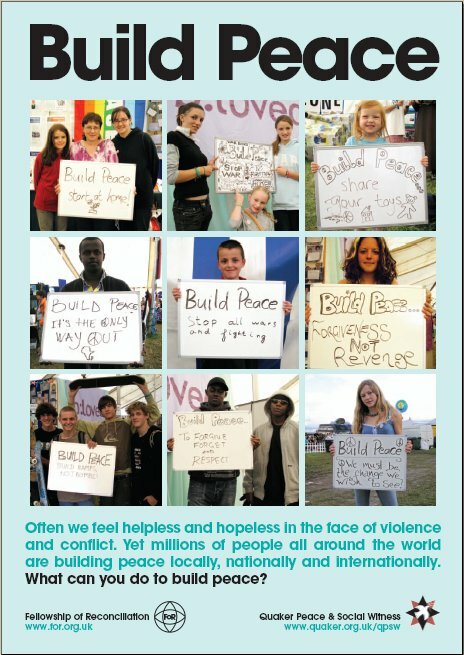 This poster is made up of photos of people at the Greenbelt festival offering their contributions to peace. It is meant to encourage us all to reflect on how we can contribute to building peace in our violent world. £3 plus postage.